Today Luna's second album Bewitched gets its first ever vinyl release via Gotta Groove Records. The LP is a limited run of 1500 copies (so not too limited!) and can be ordered from Gotta Groove's Bandcamp page. 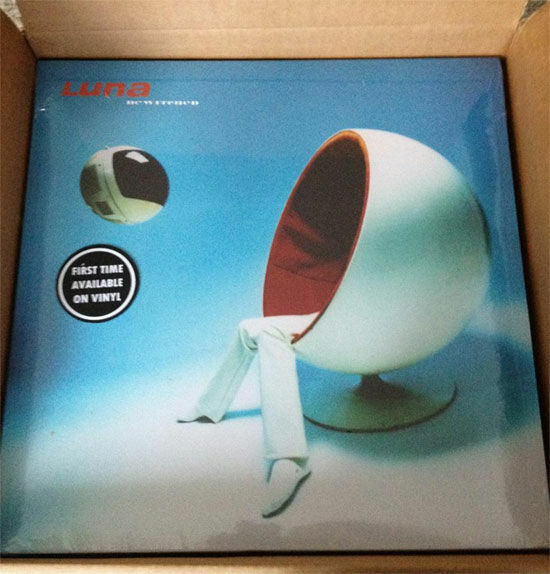 This means that as of today all of Luna's albums have now been released on vinyl. Later in the year Penthouse, which was only available on vinyl in the UK via Beggars Banquet, will be getting re-released on vinyl - more details on that as soon as I have any.